Item # 317574 Stash Points: 3,195 (?) This is the number of points you get in The Zumiez Stash for purchasing this item. Stash points are redeemable for exclusive rewards only available to Zumiez Stash members. To redeem your points check out the rewards catalog on thestash.zumiez.com. 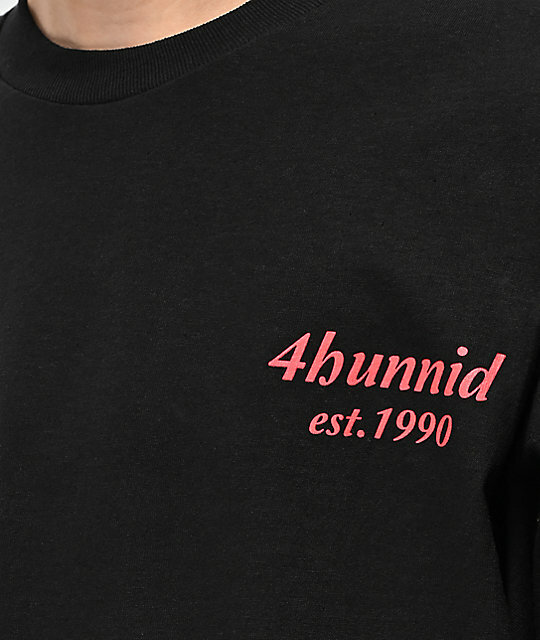 Paying homage to their roots and the year the brand emerged, 4Hunnid presents their EST 1990 Black T-Shirt. 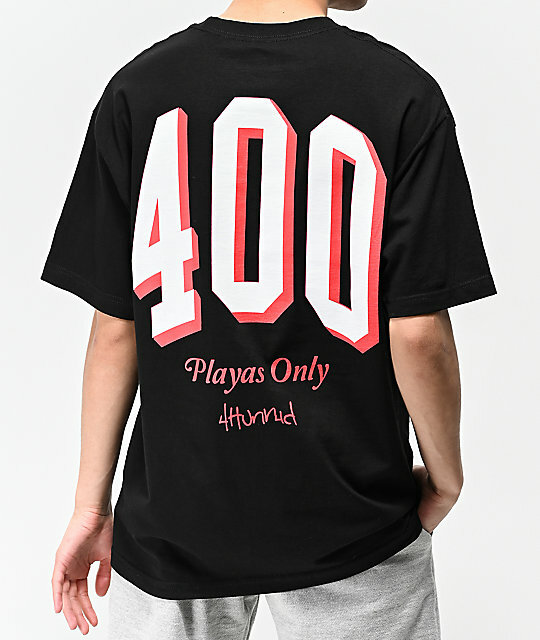 Given a sinister black and red colorway, this cotton constructed tee features signature logo script across the left chest while the back displays "400" in large, bold font. 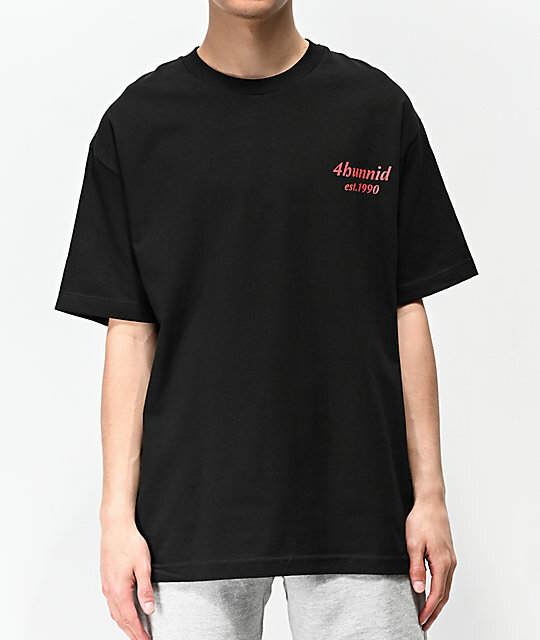 EST 1990 Black T-Shirt from 4Hunnid. Screen-printed logo script on left chest, large text on back.